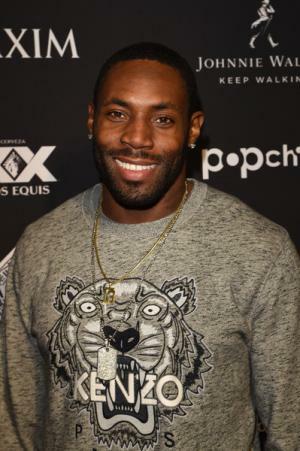 Antonio Cromartie was born on 15 April 1984, in Tallahassee, Florida USA of Haitian descent. He is a professional American Football player, who played in the position of cornerback in the National Football League(NFL). So just how rich is Antonio Cromartie? As reported in early 2016, Cromartie has earned a net worth over $10 million, established during his career as a professional football player, making great deals with leading teams. Cromartie has been known for owning two Dodge Chargers, two BMWs, two Escalades, and a 1965 Chevy Caprice which is valued at $400, 000. The player once reported that he had spent at least $5 million just in his first two NFL seasons. However, living the life as a profligate spender, Cromartie has learned to control this habit and often advises young players to do the same. Cromartie attended Lincoln High School in Tallahassee, where he became a skilled football player, earning USA Today’s National Defensive Player of the Year in 2002. In 2003 he was selected to the U.S. Army All-American Bowl. He was also a successful track runner in high school. Cromartie then enrolled at Florida State University, accepting the college’s athletic scholarship, where he played for its football team the Florida State Seminoles, and also ran track for the Florida State University track team which won the ACC Championship in 2004. An anterior cruciate ligament tear in 2005 saw hin side-lined for the whole season. However, the great potential of the college player was soon recognized, which led the San Diego Chargers to select him as the 19th overall pick in the first round of the NFL Draft in 2006. With the Chargers he signed a five-year $13.5 million contract, being guaranteed $7.35 million – Cromartie’s net worth clearly started to rise. He played in the position of cornerback and kickoff returner, returning a kick-off 91 yards in a game against the Oakland Raiders, which was the longest return of the Chargers since 2001. He led the team to win against the Houston Texas in 2007, which resulted in his nomination for the AFC Defensive Player of the Week award. The same year, a Minnesota Vikings player Ryan Longwell attempted a 58-yard field goal but he missed the goalposts. Cromartie, being placed in the endzone, managed to return the missed goal 109 yards for a touchdown and set a record as the longest touchdown return in NFL history. According to the game rules, this yardage is the maximum and hence Cromartie’s record cannot be broken. He earned Defensive Player of the Week honors with the game against the Indianapolis Colts, intercepting the Colts player Peyton Manning three times. Cromartie soon made his 10th interception and set a franchise record. His success with the Chargers led him to the AFC Pro Bowl in 2007. After his last season with the Chargers ended in 2009, the following year Cromartie joined the New York Jets. Due to his great performance in the first season, in 2011 he re-signed to a four-year $32 million contract with the Jets, which boosted his net worth. He became the team’s best cornerback, which led him to be selected twice for the pro Bowl. In 2014 Cromartie signed a one-year $3.25 million contract with the Arizona Cardinals and increased his wealth once again. The following year saw him with the Jets, re-signing for a four-year $32 million contract with the team. However, the Jets released him in early 2016 and Cromartie has been a free agent since. When it comes to Cromartie’s personal life, an interesting fact is that the player has 12 children with eight different women. However, in 2010 he married Terricka Cason, the star of E!’s reality television series called “Candy Girls”. He has four children with Terricka and the family resides in Randolph, New Jersey. 1 Has eight children with seven different women.